The world’s first light-based body contouring system for the reduction of stubborn fat is here! 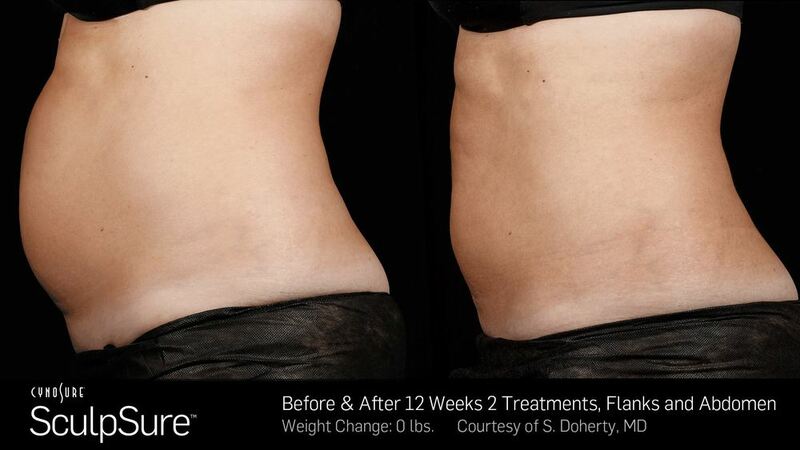 Remove unwanted fat permanently in only 25-minutes with the SculpSure Body Contouring Treatment. SculpSure is state-of-the-art, controlled light-based technology, ideal for patients looking for a non-invasive procedure with permanent results. The laser targets fat cells below the skin and your body naturally removes these cells, leaving the treated area flat, firm, and taut. The gentle heating energy of the SculpSure laser also causes the production of collagen and elastin, two of the necessary building blocks for youthful, healthy skin. This helps the treated areas achieve a firmer, younger look. 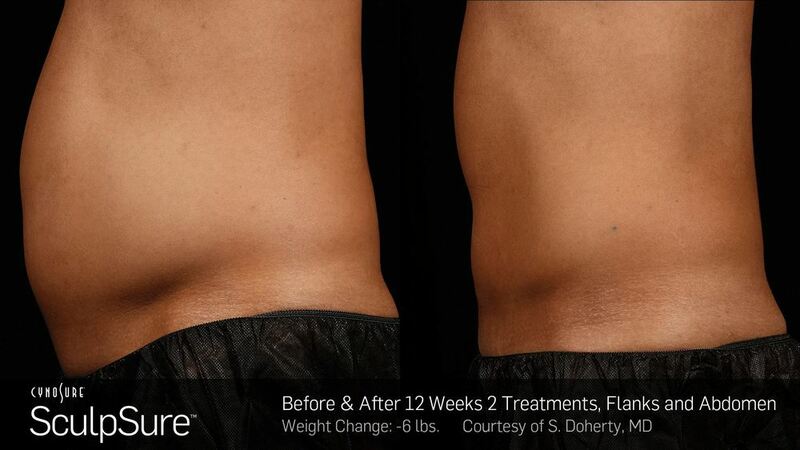 SculpSure precisely targets and destroys unwanted fat cells using laser technology. Over the next several weeks following the treatment, your body will naturally eliminate the destroyed cells leaving the area treated slimmer and tighter. Single or multiple treatments can be done on different areas of the body. With SculpSure’s ability to permanently destroy fat cells through apoptosis, we’re not just removing the lipid fluid from the cell. Instead this technology enables the destroyed fat cells in their entiretyto be removed from the body naturally, ultimately reducing those stubborn areas of fat. Patients can see a 24% reduction in as little as one treatment. However if greater reduction is desired, patients can always opt for a second treatment for additional volume loss or more of a sculpted effect. 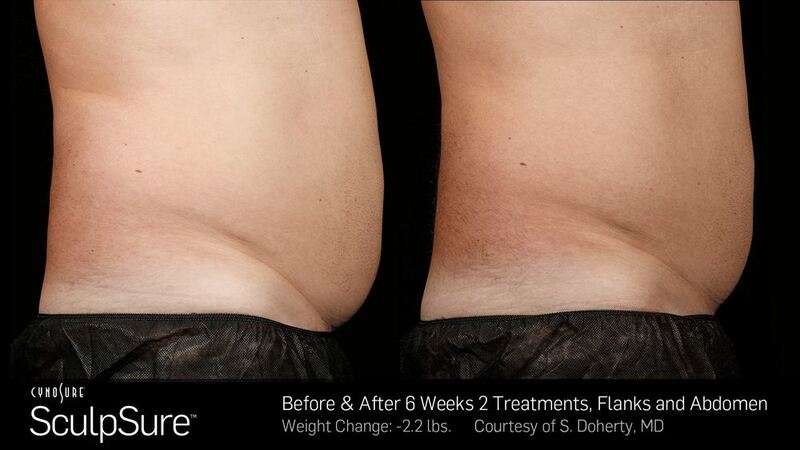 WHAT AREAS CAN YOU TREAT WITH SCULPSURE? 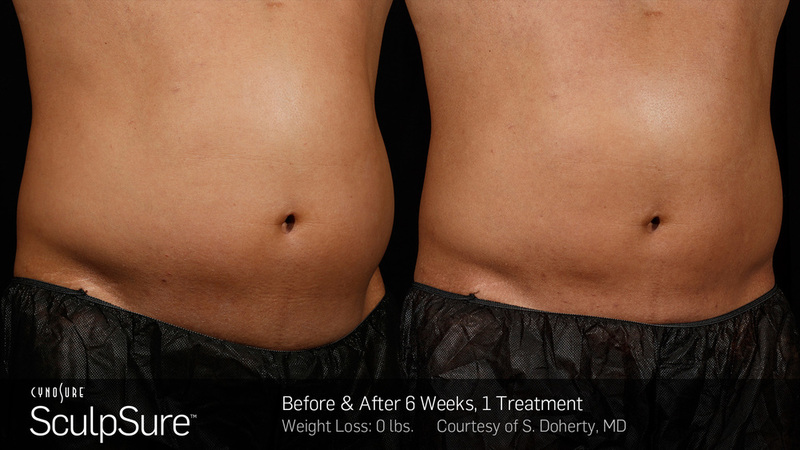 Because of SculpSure’s unique ability to customize a patients needs we’re able individual the frames & applicators for multiple areas of the body ultimately reducing those stubborn, diet & exercise resistant areas of fat. Sculpture’s innovative technology allows us to treat anyone with stubborn, diet & exercise resistant areas of fat. 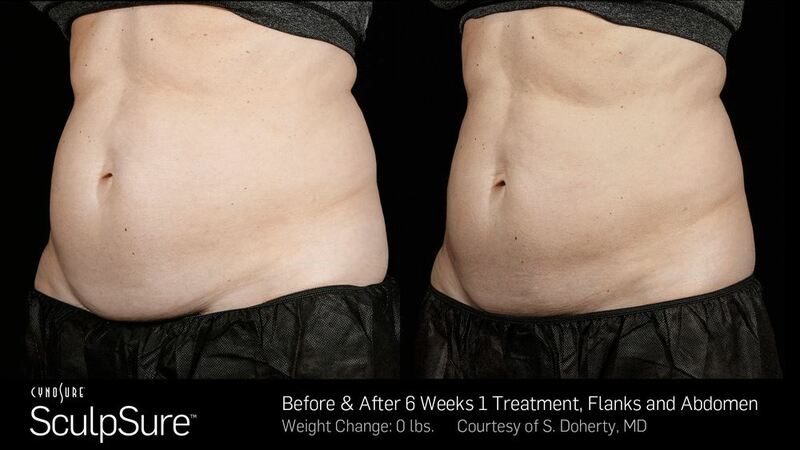 Because of this innovative technology we are also able to treat even non-pinchable, fiberous fat. SculpSure isn’t for weight loss. This is the perfect treatment for someone who has a little bit of weight to loose and of corse is highly effective on both men & women. Since SculpSure is non-invasive, patients are free to continue their active life styles immediately following the procedure. We actually encourage our patients to get up and move their bodies upon leaving their treatment. You literally can get up and go straight to your favorite cardio class without decreasing the efficacy of this treatment. We are seeing an undeniable reduction in fat in as little as 6 weeks with optimal results in 12 weeks. With SculpSure we are inducing a natural cell death known as apoptosis - therefore, we are not asking the body to do anything that it doesn’t already do naturally. Because of this, it takes time for the body to naturally rid the destroyed fat cells from your system - we’re able to flush the fat cells out naturally utilizing the lymphatic system. Click here to compare SculpSure with CoolSculpting and see why the choice is clear. 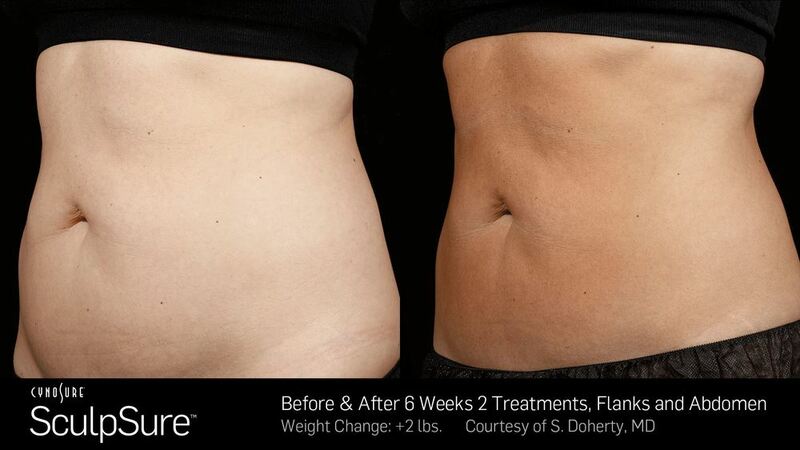 Schedule a complimentary consultation for your SculpSure treatment today!